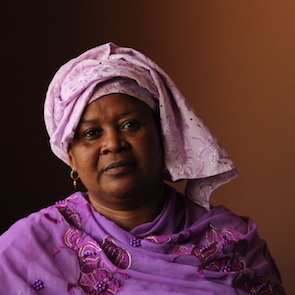 I met Mariam last month, when I went to Bamako to work on a campaign to protect Malian human rights defenders at risk. The national parliament is considering a new draft law on the promotion and protection of HRDs, for which defenders across the country have voiced strong support. 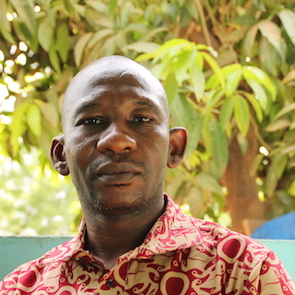 Defending human rights is not an easy task in Mali. Mariam’s work has had a positive, tangible impact for hundreds of women all over the country, but she and her colleagues very often face threats and attacks. Because of their work on sexual and reproductive rights, they have been addressed with derogatory and insulting comments. For instance, in 2011, Mariam and a group of women MPs were subjected to a smear campaign, after opposing the adoption of a new family law perpetuating discrimination against women. Across Bamako, I also met with human rights defenders working on land and environmental issues, who also support the proposed law to protect peaceful activists. 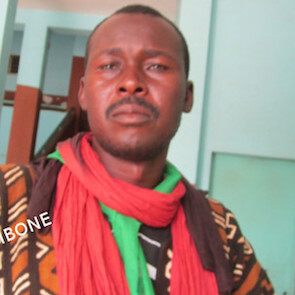 Kone Massa, spokeperson of the Malian platform against land-grabbing (Convergence Malienne Contre les Accaparements des Terres, CMAT), is one of the most outspoken activists struggling against land grabbing in Mali. His organisation accompanies communities of farmers who have been evicted because of maxi agribusiness projects. He helps them mobilise, informs them about their rights, and encourages them to claim their rights and fight for them. Kone says the “critical mass” they have reached – referring to the large number of community members now committed to the struggle – is what drives their work despite the risks. Several members of his organisation have been detained, arrested arbitrarily, or had complaints lodged against them for the leading roles they play in the community's fight for land. Some are still on trial, charged with opposing the legitimate authority, damaging public property, contempt of court, or illegal occupation of public spaces. Land rights defenders are often perceived as a threat to public order because of their ability to mobilise and organise communities for the struggle against land-grabbing. 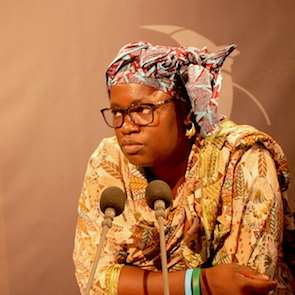 Targeted threats and attacks against human rights defenders like Mariam and Kone are happening against the larger, militarized backdrop that is Mali's ongoing conflict. A recent peace agreement between rival ethnic groups, Islamist fighters and the current government is fragile at best, and this instability is further endangering the work of human rights defenders. Fear and insecurity are widespread, particularly in northern Mali. With this in mind, I am even more impressed with the bold determination of Fatouma Harber, a teacher and blogger based in Timbuctu, northern Mali. On her blog, she documents and publicly condemns human rights violations committed by armed groups. Despite the death threats she and her family receive, she has continued demanding justice for victims in the north. From what I have heard during my meetings with Malian human rights defenders, it is clear how important it is to approve a national law on the protection of HRDs. Following a proposal presented by a group of Malian human rights defenders, in January 2017 the Council of Ministers approved a draft law on the protection of HRDs. This law, which is now to be adopted by the Parliament, will define a judicial framework recognising the legitimacy and the importance of the work of human rights defenders, and it will ensure HRDs can work in a safe environment without fear of attacks or reprisals. 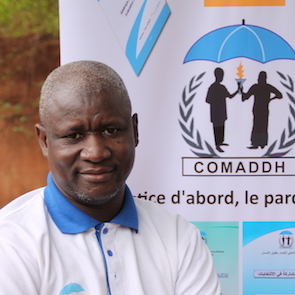 Front Line Defenders, together with the International Service for Human Rights (ISHR) and local civil society organisations (including Coalition for Malian Human Rights Defenders, COMADDH; the Network of Human Rights Defenders, RDDH); the National Coordination of Victims’ Associations, CNAV; and AFLED) have coordinated two advocacy meetings, on 4 and 5 October 2017, with some representatives of the National Assembly. The roundtable discussions offered an opportunity to explain why the law needs to be prioritised and adopted without any further delay; helped MPs to better understand the content of the law; share the challenges faced by Malian HRDs and explain how this legislation could help them. During the debate, HRDs also offered their suggestions and proposals on how to amend the proposed law to ensure better protection of HRDs. For instance, HRDs asked to include specific provisions for the protection of women human rights defenders, because of the specificity of the threats they are exposed to, including sexual violence, stigma and discrimination. On 6 October 2017, Front Line Defenders and a group of Malian human rights defenders (Mariam Diallo Dramé, Fatouma Harber and Mody Samba Touré) also launched the campaign “Soutenons les droits humains, soutenons les DDH”, which aims at building popular support for the new law on the protection of HRDs and advocating for its implementation. Through different media platforms, the campaign will raise awareness on the crucial role played by HRDs in their communities, the risks they face, and why it is important to protect them. 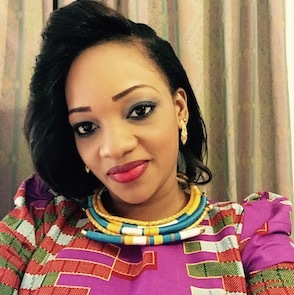 The initial phase of the campaign was developed with Studio Tamani, a Bamako-based radio station that broadcasts content in 5 languages, through its network of 56 radio stations across the country. Raising awareness of the important work carried out by HRDs in Mali and advocating for the approval of the new legislation is an important step forward in the promotion of human rights and the protection of human rights defenders. Following the examples of Cote d’Ivoire and Burkina Faso, Mali could become an important model for other countries in West Africa. The adoption of this law – and its implementation – is a sign of hope for human rights defenders like Mariam, Koné and Fatouma, who every day are struggling to protect the rights of their communities.